St. Michael School is hosting a reunion for all students who have completed their education with us, as well as their teachers. 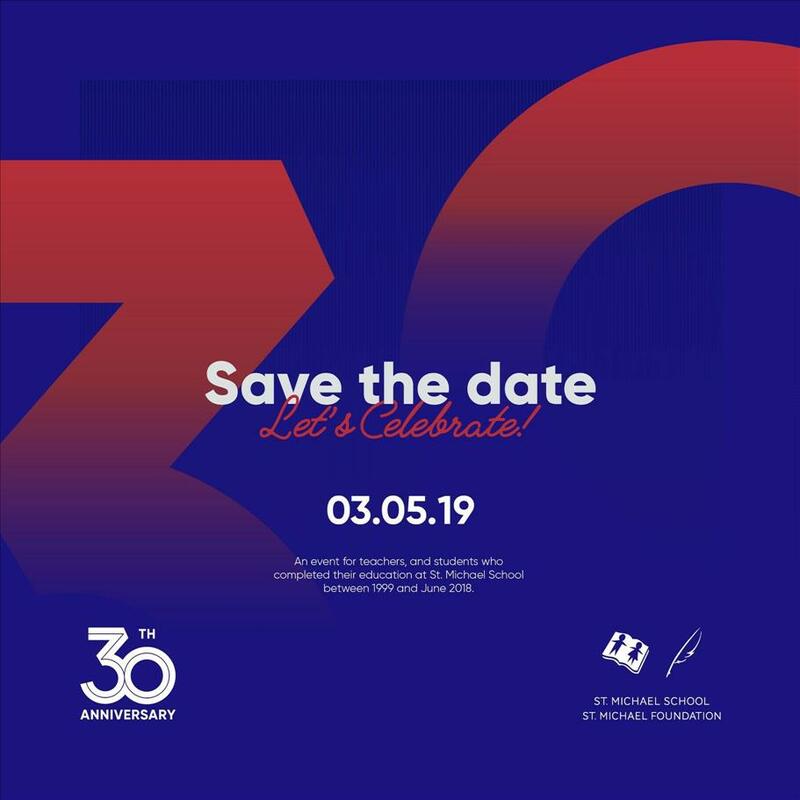 To celebrate and commemorate our 30th anniversary, we invite you all to join us for an evening of memories and fun. Complimentary drinks and nibbles will be served, together with some good tunes to get us all moving. This is a free event, however it is very important to sign up for a virtual ticket, as we need to know the number of people attending. Please share with your old classmates - the more, the merrier!